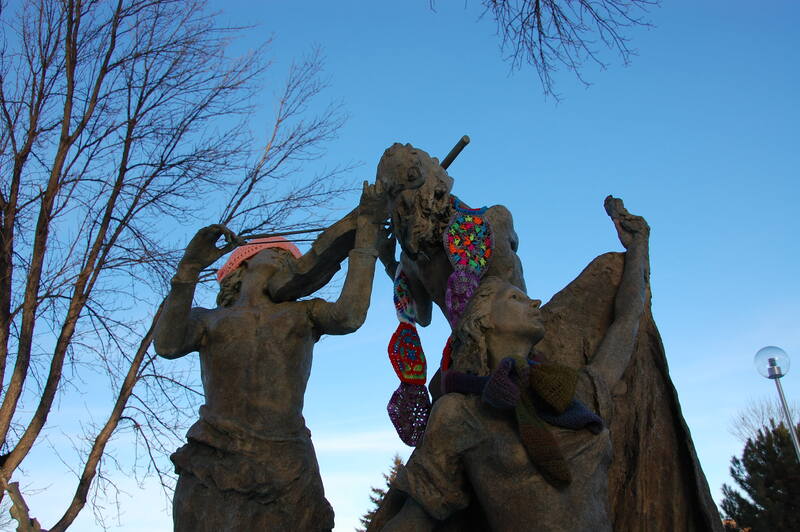 For a few brief days on the Northern State University campus, several statues wore knitted hats and scarves. 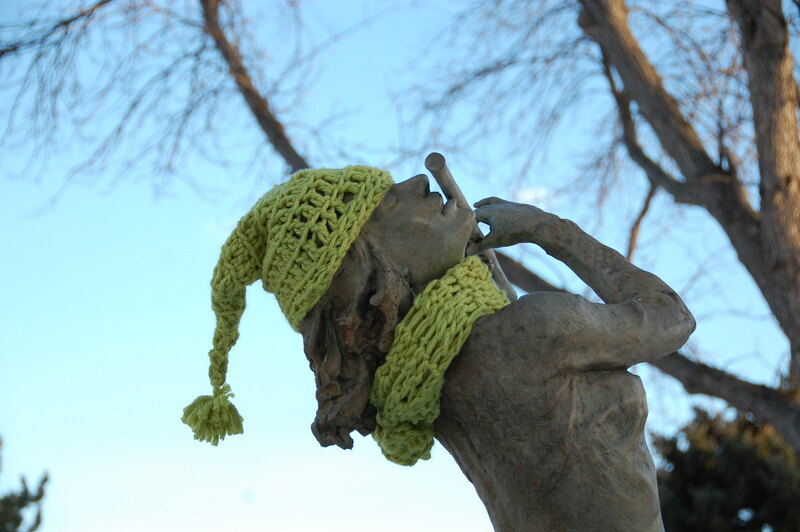 I couldn’t stop looking at the hands. 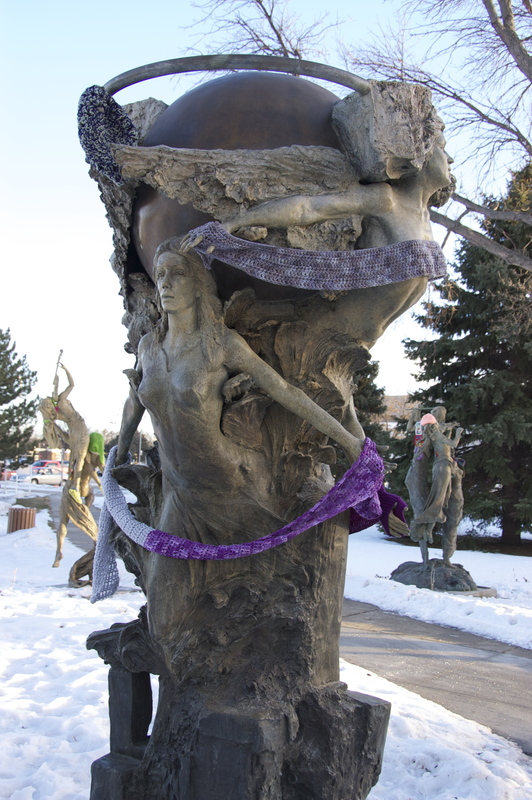 The scarves were held in place by the hands, destroyed the craftsmanship by doing so. I miss the brightness in that part of campus, and that I didn’t take more pictures while I had the chance.